I love things like this, I thought when Professor Suzanne Peterson assigned our class to participate in feedback evaluations. For those unfamiliar with the class “Managing People from a Global Perspective,” we were required to reach out to 5-10 people in our network (friends, family, colleagues, former bosses, classmates, etc.) and ask them to answer seven questions about us. The question topics ranged from describing presence to explaining blind spots and suggesting skills to gain. And of course, the question we were all most interested in: What is my greatest challenge? “You say yes to EVERYTHING,” my friend told me over beer and wings at Zipps. 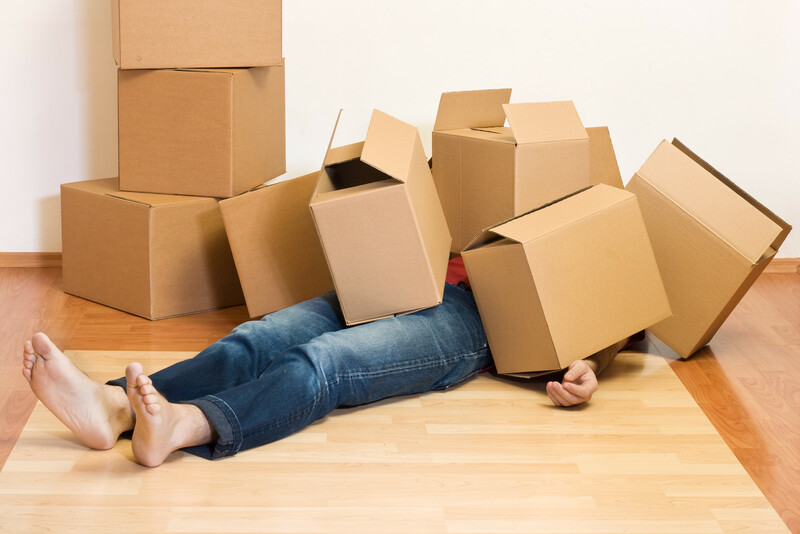 “You take on the burden of something and quietly deal with it on your own first,” a colleague delicately put over lunch. “I think you try to be too much to too many people,” a classmate bluntly wrote in an email. “Being part of so much spreads you thin,” a family member told me over the phone while I wrote an urgent email. The overall trend in the feedback: You’re overcommitted, and as people who care about you, you must stop. I started to number the different activities and projects I’m a part of outside of class and realized it was too long to be listed here without rambling. After a brief moment of self-reflection (it should be noted I also received feedback I’m at times flippant), I thought about the source of this overcommitting cycle. I even WebMD’ed it. Is it the desire to maximize experience? To please people? To distract? Maybe it’s that we fall into the roles we’re expected to play. According to Psychology Today, it can be rooted in one of two things for most people (women especially), and funny enough, the causes are on opposite ends of the spectrum. 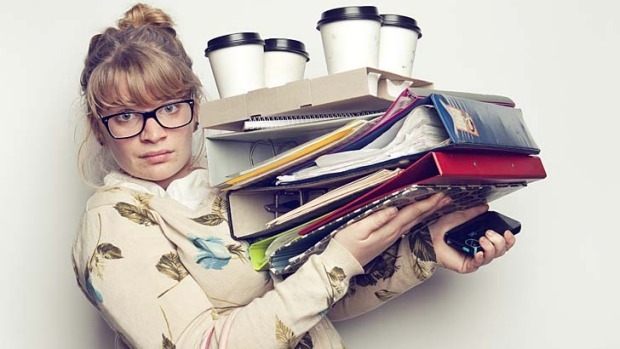 It might be pride or adrenaline that compels high-achievers to take on too many responsibilities. They wear their stuffed planner like a badge of honor. But it also goes in the other direction. Insecurity can keep high-achieving people from saying no. What if I say no, and he thinks I can’t handle it? Or what if I say no, and she sees me as selfish, or, God forbid, apathetic? What if I say no, and worst of all, they realize I’m in over my head? Is it really as deep as this, though? Needing a little bit of guidance, I reached out to other Thunderbirds who are also very involved in projects and activities outside of class. Thunderbird President Anisha Saini (MGM ’17) immersed herself in as many activities and clubs as she could at the beginning of the Fall semester. She became a Campus Ambassador within the first few weeks and then joined the Thunderbird Student Government (TSG) as an Event Planning Representative. 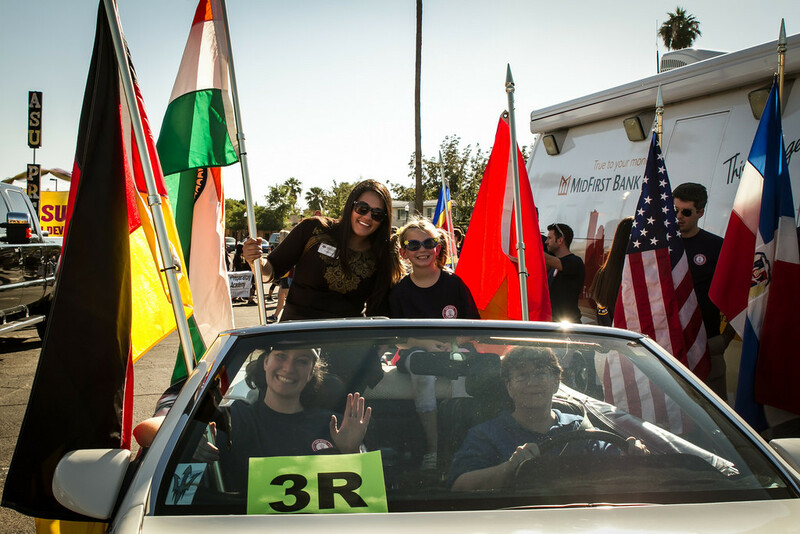 She also participated in as many activities hosted by clubs and the CMC as her schedule allowed: the Latin America Volleyball Tournament, the ASU Homecoming Parade, the Diwali celebration, Net Impact’s Pumpkin Carving, the letter writing campaign to Congress, and others. After being elected the TSG President for the Spring semester, she’s been involved in almost all events on campus since. 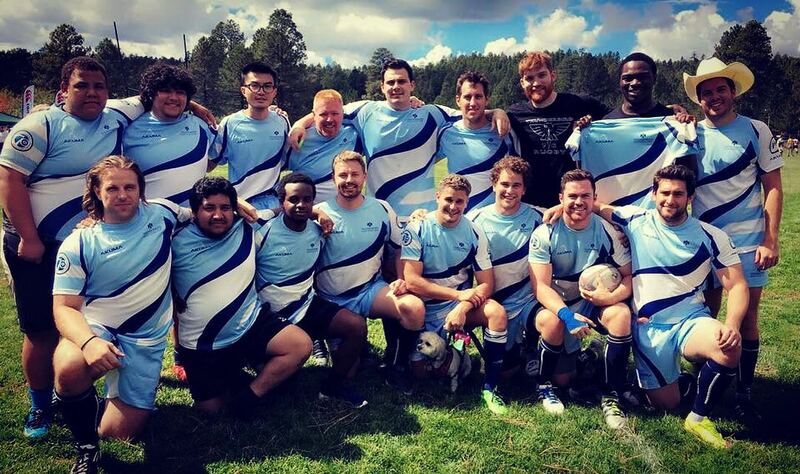 Nash Wills (MAGAM ’16) has always been part of a number of clubs or societies outside of school or work, but he’s found he’s been even more involved at Thunderbird. 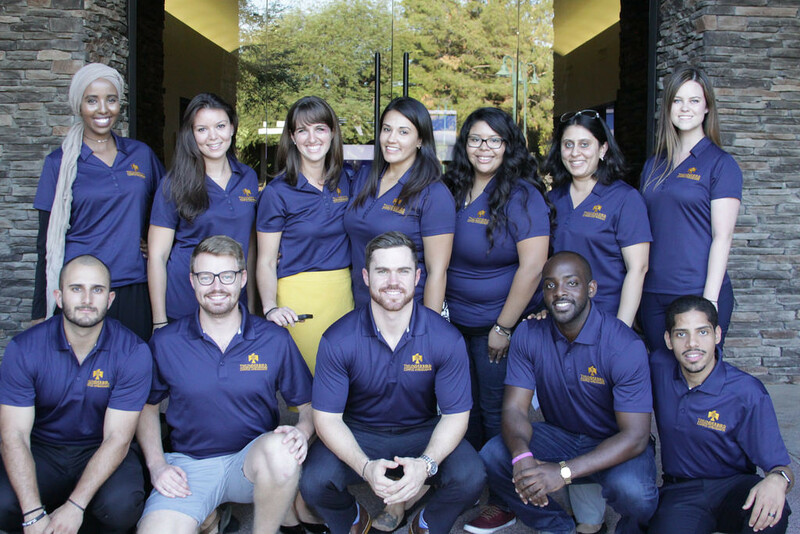 Before starting his program here, an alum told him that one of the most important things he could do with his time at Thunderbird was to get involved with as much as possible. Wills made it a personal goal to try and do just that. Within his first semester he joined Campus Ambassadors, Das Tor, and TSG as an Alumni Relations Representative. Since then he has also taken part in the Thunderbird Honor Council and the Thunderbird Football Club. Patrick Shields (MAGAM ’16) has enjoyed leading clubs and projects because it’s allowed him to accomplish new goals and stay sharp. As a President of Thunderbird Rugby Football Club, President of Pub Trivia Club, a Peer Career Advisor, and a Regional Night volunteer, he has a good idea of the pulse on campus, and he’s formed strong relationships that are important to him. Between all three people, another overall trend emerged: they weren’t nearly as involved in clubs or campus life before coming to Thunderbird, a quality I also shared. Pulling me out my WebMD self-diagnosis, Shields said, simply put, that he overcommits for two reasons: 1) a friend will ask him to do something, and he never minds doing favors for friends, and 2) there are many people who under-commit at the school. This was a lot less complicated than the analysis I underwent on the Internet. We like our friends and want to help them. We also want to keep different projects moving forward because the ones here at Thunderbird have amazing vision and purpose. This seemed a lot more reasonable than diving into a deep reflection about my relationship with my father or any Freudian psychodynamics. This brings us back to the great challenge many people clearly face, and the question remains: how do high-achieving people maintain balance while also being accountable? Saini credits her involvement at Thunderbird as responsible for making her more efficient and effective at time management. She uses her agenda book to immediately update her calendar with meetings, deliverables, and events. She then only commits for time slots that she’s available. It’s undeniable that the Thunderbird projects, clubs, and activities are what make the program so unique, and this is the place to take on new things to see where they take you. As Chelsea Olson tells us in Foundations, “If you’re going to fail, fail fast” because taking a misstep here or taking on too much is like falling on a trampoline. People are here to bring you back up. But what’s also critical to remember is that recovery is just as important as intensity. If you’re stretched too thin, a way to reclaim your time is to also ask others to join you who you know would be interested in being more in the Thunderbird loop. A lot of the time, people appreciate being thought of and will help when they’re asked. Finding that concrete purpose and guiding force for what you do here and in life is difficult, but never think you need to do it alone. 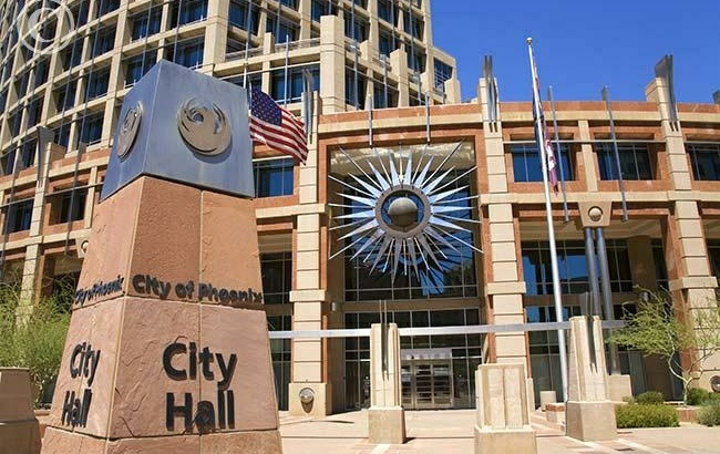 The Seven Tudes and Paradiplomacy: Why Our Arizona Cities Win?